It’s a hot, hot season and everyone is in love as the new glam voluptuous fairy tale designs show much of elegance. As Fashion weeks keep on happening from the world of exquisite Haute couture in Paris, to wedding gowns in China, Barcelona and the diversity in Africa. With the designers who have given their best in designing the most amazing of elegant and breathing taking attires. For those who did not get a chance to see them first hand on the runway, i will create one for you with some of the highlights. So welcome to my runway where I am going to show you some of the most breathing gowns and designs the designers made for us by taking their imagination to the next level. 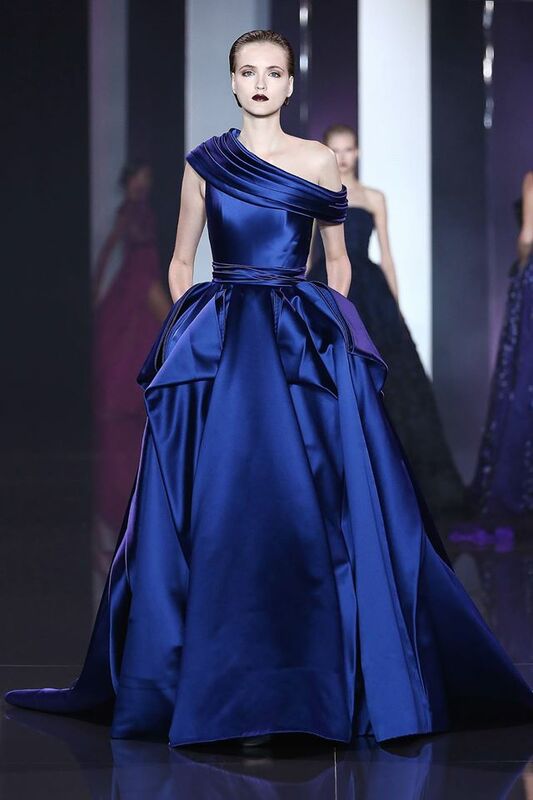 The Ralph & Russo gowns for it's stylish and elegant woman who is not afraid to dare to wear something unique just as the gowns from the 2014/2015 collection. If I was to picture a celebrity in this specific dress, it would be, Sarah Jessica Parker, the daring modern princess of the 21st century. Blue has always been one of my favorite colors, it is peaceful, chic and classic. So when i saw the gowns i couldn't help it, i just had to share this with you. Picture yourself walking down the aisle to the man of your dreams just on one of the most beautiful beaches in the world dressed like a fashion goddess on earth. The dresses by Isabel Zapardiez and Alice Au give us the picture and enable us to dream of a perfect special day. They show you the possibilities beyond your imagination. If you are getting married by the beach, then this is the right gown for you. It is stylish, elegant and it will definitely make you feel like a beauty queen. From the runways of Morocco i picked designs by Patrick Boffa and Rami Salamoun. Patrick Boffa went all black by creating a dashing little black dress with a different twist of elegance. The dress is just right for that evening cocktail party or even on the red carpet. While on the other hand Rami Salamoun went for dresses with embellishments that hug the woman to show her figure with amazing cuts.